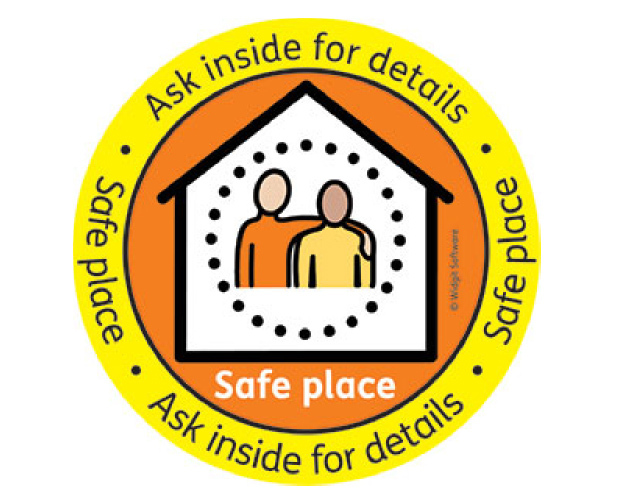 Look for the safe places logo like the one above. How you can get help at a Safe Place? 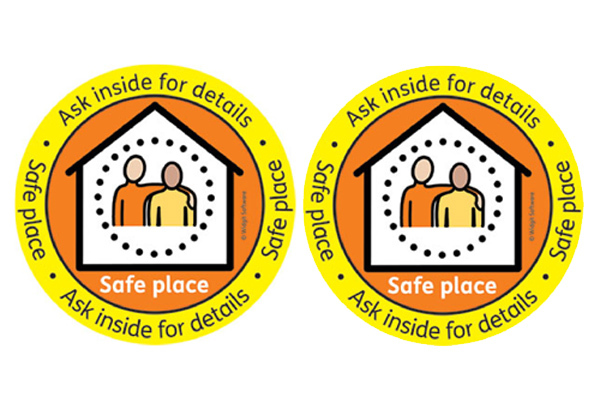 A Safe Place will have a sticker on its window to show they are a Safe Place. When you you want help from a Safe place you should show your Blue Card to the person who is working at the Safe Place.